Miami Medical is only three episodes into its run and already somebody has made a Dr Proctor fan video. Note: not a Miami Medical fan video, this video is an hommage to Doc Proc alone. 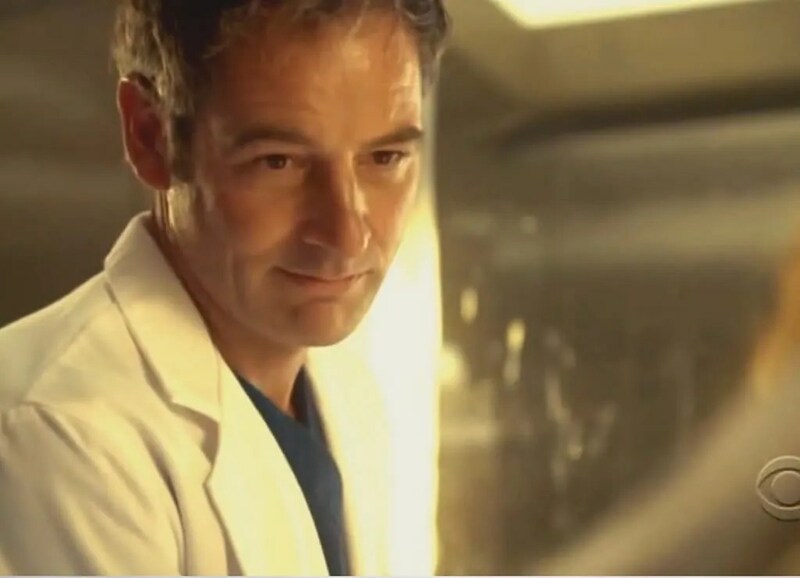 It may be that, in time, other fan videos are made that utterly adore Miami Medical‘s other characters but so far, it is HotDocProc (enigmatic, charismatic, slightly unhinged and to die for handsome as played by the gifted actor Jeremy Northam) who has captured the viewers’ imaginations. Jeremy can hide himself away in an ensemble cast as much as he likes but quality will out. He is such a good actor that he can’t help but be the central attraction of the show right from the start. And yet he’s not showboating, he’s just very, very good. Bravo Jeremy, those of us who know you of old and what you’re capable of never doubted this would be the case. The writers are cleverly playing to Jeremy’s strengths, and one imagines he’s had quite an input himself. Episode 2, 88 Seconds, has Doc Proc using the word “capricious”. Busted, Mr N! Jeremy’s famously a very private man, you won’t see him pimping himself in every available spotlight, which some may find disappointing. The guy’s an actor, not a “star”. Let’s just enjoy him doing what he does SO well every Friday night. If you’re a fan of Jeremy’s work and have yet to cotton on to Miami Medical, for goodness sake give it a try! Okay, it’s not The Winslow Boy or Gosford Park, but it’s shaping up to be an excellent tv show and Jeremy is every bit as good as he always is. If you’re watching Miami Medical and you’re new to Jeremy’s work then I envy you the enjoyable task of catching up on this excellent actor’s back catalogue. You can find out all about his work on tv and in movies by visiting Jeremy Northam Info. ← Miami Medical, you’re lucky you have Jeremy Northam! Terrific post, and per usual, dead-on!